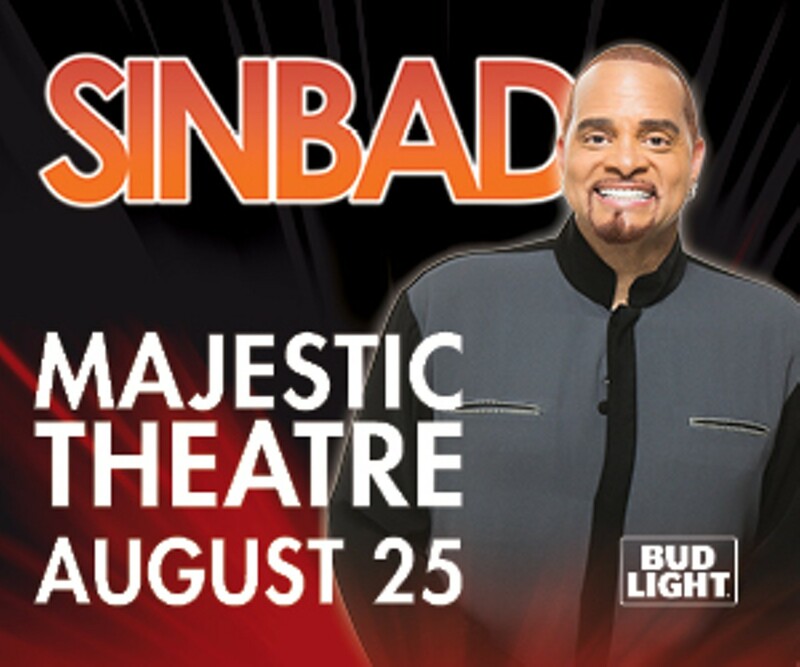 SPONSORED -- Ranked by Comedy Central as one of the top 100 standup comedians of all time, SINBAD’s unique comedic style has kept audiences laughing in the aisles for over two decades. Freely admitting that he doesn’t know any jokes, SINBAD tells stories instead. The basis of his humor comes from everyone he meets, everything he’s seen, and everything he’s done. His comedy is large, physical, and impetuous. SINBAD made his big screen debut in the 1991 gridiron comedy "Necessary Roughness." His other motion picture credits include starring roles in "Houseguest," "First Kid" and “Jingle All The Way" and a cameo in "Coneheads." On television, he starred in the title role of the "Cherokee Kid" on HBO, and was the star and executive producer of his own acclaimed Fox TV sitcom, "The Sinbad Show" and "Sinbad's Summer Jam Weekend II" airing on HBO. 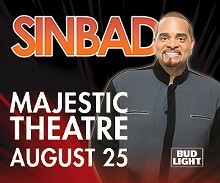 "Sinbad's Summer Jam" won the prestigious NAACP Image Award consecutively for two years in the "Most Outstanding Variety Series/Special" category.